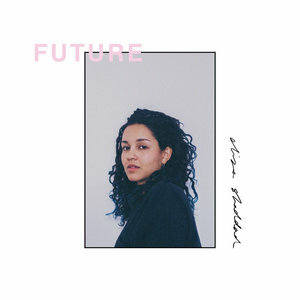 Future is a deeply insightful album that projects Eliza Shaddad's focus on a hereafter decidedly informed by the past. Impassioned women are taking back popular culture. They are reclaiming cultural space to voice their acrimony while exhibiting how rage often overlaps with regret, indecision, and empowerment. Eliza Shaddad's debut album, Future, is a dynamic art piece centralizing self-reflection and personal growth as ensconced by fury and hesitation. Future finds Shaddad escaping unsatisfying relationships and her own inner thinking yet ultimately moving towards solace. The album musically captures her attempt to remain credulous while pacifying the fear that lurks when change is afoot. Future is a deeply insightful album that projects Shaddad's focus on a hereafter decidedly informed by the past. Realizing she "can drive straight into the future", "White Lines" encapsulates a literal and figurative imagining of Shaddad's ethos. Written while taking a road trip through Australia and with not much else to do other than think and drive, the trip and track project Shaddad's learned self-confidence and strength. When she sings "I know if I hold brave and true", she's providing the necessary self-talk to counter the anxiety underscoring her departure. Driving alone in the dark is a reclusive and fluid act. Here Shaddad is akin to Jack Kerouac's Sal Paradise who seeks movement as a means to enable identity construction. Much as the characters from On the Road, Shaddad's frenzied passage symbolizes the search for certainty. "White Lines" clocks in at an impressive five and a half minutes, an almost unheard of length for a first single. However, the length lends itself to the song's meditative qualities. The listener is becalmed by Shaddad's vocals, reverberating on a background loop. The placidity is short-lived though, as thunderous guitars change the energy to unadulterated indie rock. Shaddad's earnest contemplations contrast with the billowing guitars generating an image of a tempestuous psyche. Similarly, the heavy guitar and percussion on "Your Core" creates a cacophony representing her agitation. The instrumentation reflects the grunge aesthetic and tendency to portray rage with riotous and gritty music. The track fades into an incomprehensible and staticky dialogue with the only intelligible phrase being "everything is fine". That audibly signals Shaddad's primary objective: despite the turmoil and anger, reclamation will manifest. Future's mainstay is the balance of fury and chaos with quietude and acceptance. Yet finding equanimity is not always simple or redemptive. In "My Body", Shaddad explores the turbulent mindset that results from seeking solitude. Essentially, when breaking up with someone is necessary for enacting self-care, but doubt about the decision lingers. She captures this impasse when she questions, "I don't know if I am right / I don't know if I am wrong... I can't seem to shake the feeling I made a mistake / Every night your memory is keeping me awake." At this point, the instrumentation picks up, and a forlorn yet fierce guitar epitomizes the necessary loneliness. The self-questioning resumes in "Are You There". The album's standout, the hauntingly beautiful and tender vocal distortion gives the track a celestial feeling. The repetition of the lyrics "are you there" render an image of a spinning mind, one riddled with question and anxiety. Finally, "Goes to Show" finds her accepting a positive mindset despite heartache. Shaddad uses the album to consider the science of her mind from multiple perspectives. Hence, each track reveals a different episode of her story. Future is more of a confessional journal rather than a musical album. In "Slow Down" she reminds herself "slow down, you'll tire yourself out" while in "Daydreaming" she realizes "I should just move away / find something new to sink my teeth into / find someone else to take your place." The tracks' and the album's candor take listeners into Shaddad's deep mind and demonstrates the fluctuations between feelings and behaviors. The album clearly demarcates Shaddad's coherent narrative created from the analysis of her deeply personal experiences. By recording her thoughts, she declutters her mind and reflects on her life's past and Future. Despite the focus on vulnerability, Shaddad reclaims her agency on "This Is My Cue". The track portrays Shaddad choosing her trajectory and refusing complacency. An anthem for anyone scared of change, Shaddad reminds "I've been seeing something moving / It's out there in the darkness, calling me / It's terrifying and yet soothing / It's telling me I must stop stalling." Her voice is strongest as she reaches the notes to sing "maybe I'll leave today". Considered in tandem with "White Lines" and "My Body", Shaddad demonstrates how strength and solitude are not always instantly empowering. Rather, enduring fear and insecurity are essential to personal growth. She reaffirms indecision is vexing, but it also leads to resoluteness. The finale, "(To Make It Up to You)", begins with an audible exhale as a preamble to a quieter track and mind space. Shaddad atones and asks "what can I say to make you happy again". Despite the moments of progression, Shaddad again vacillates: "I don't think it matters now how much I write or sing / I never truly seem to learn a thing." Without heavy production or ornamentation, Shaddad ends the album by concretizing the belief that personal progression is indefinite and non-linear. The album in its entirety is a narrative showcasing moments of strength, vulnerability, and indecision. By listening to Future from start to finish, listeners gain insight into Shaddad's mentality and her search for clarity. A stellar debut album, Fortune is relatable in its sentiment and alive with Shaddad's inner strength.